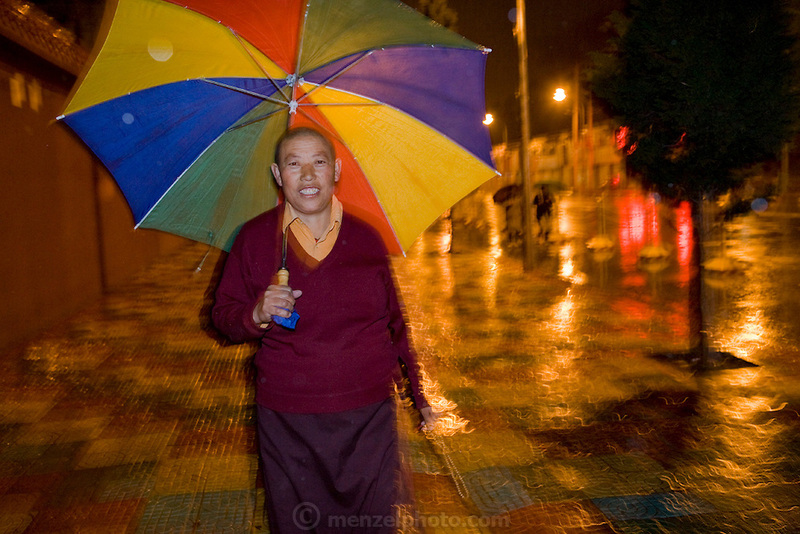 Tsul Tim Lhamu, head nun at the Lhasaani Tsang Kung Nunnery, Lhasa, Tibet, taking her early morning walk around the city. (Tsul Tim Lhamu was photographed for the book project What I Eat: Around the World in 80 Diets.) MODEL RELEASED.